With a zest for life and loyal natures, Staffordshire bull terriers can be a misunderstood breed. While some perceive Staffies as an aggressive breed, Staffy owners know this cannot be further from the truth. These playful dogs are lovers, not fighters, who enjoy nothing more than spending time with the people they love. 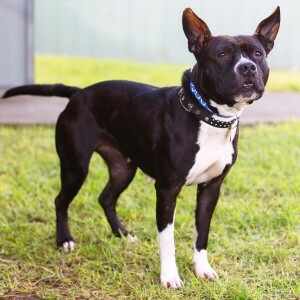 A great breed for active families with older children, The Lost Dogs’ Home North Melbourne and Campaspe shelters currently have a number of loving Staffies looking for their brand new home. Could you be the ideal owner they are looking for? Daisy is a friendly, affectionate girl who enjoys nothing more than having people fuss over her. 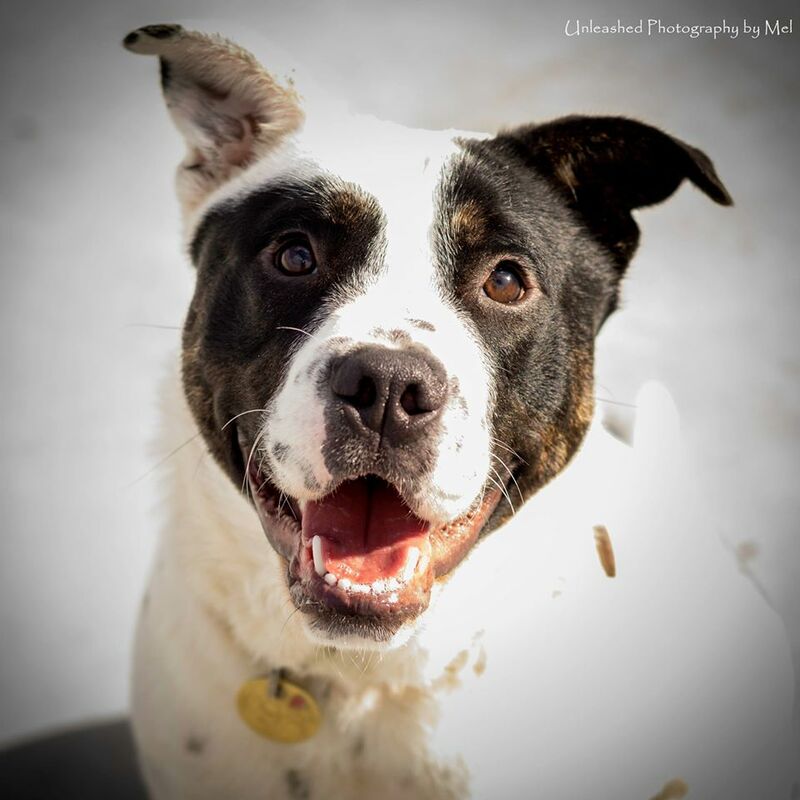 She is looking for active and fun owners who will shower her with affection and show her a little extra TLC. At one year-old, Daisy is still learning how to socialise with other dogs. She will need an owner who is committed to providing her with opportunities to socialise with other dogs to build her confidence. With an active and playful family committed to her training, Daisy will blossom into an affectionate and dedicated dog; a true family member. 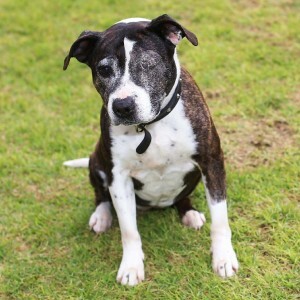 Nine year-old Narah is an intelligent golden oldie with a beautiful nature and temperament that proves that no matter their age, Staffies are a devoted and loving breed. Despite her age she is an active lady who would like her day filled with walks and other activities, rounded off with a nice cuddle. An affectionate girl, Narah prefers the company of people rather than other dogs and is best suited to a home where she can be the main dog in your life. 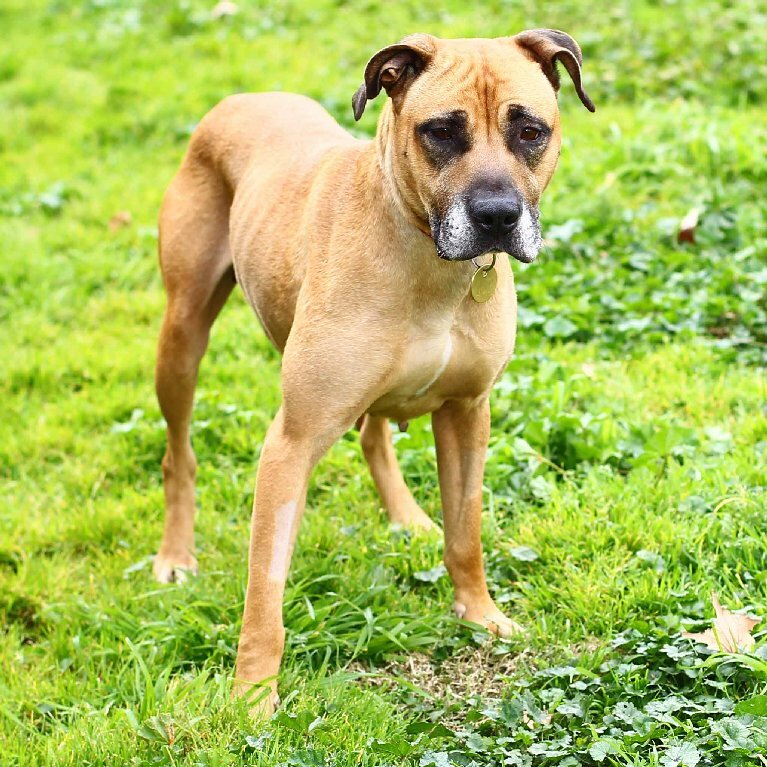 She is showing signs of arthritis and will need to go to a home where she can be an indoor dog and in return Narah will ensure her new owners are always kept company. Maggie is a sweet little girl who is looking for an experienced, settled home where she can really feel at home. An intelligent young lady, Maggie will benefit from ongoing obedience training to build her bond with her new family, socialise with other dogs and learn some good canine manners. This four year-old would love nothing more than passing away the day with her nearest and dearest. When her family are away Maggie can find herself getting anxious. With the right family who is committed to working with her to manage her anxiety, she will blossom into a loyal and loving family dog. Stevie has had a tough start in life and has seen a lot of changes in her six years. When she arrived at The Lost Dogs’ Home, Stevie was extremely emaciated, overwhelmed of her new surroundings and scared of interacting with people. After spending sometime in foster care to regain weight and build her confidence, Stevie is ready to find her new home. Stevie takes a little bit of time to warm up to new people, but once she is comfortable with you she becomes a very affectionate girl. She would suit new owners who are committed to her ongoing training and socialisation with dogs and people and are willing to give her the time she needs to settle into her new home. 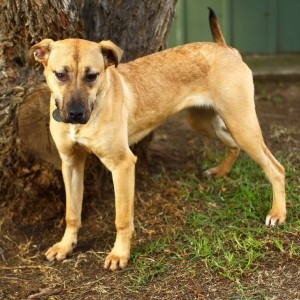 One year-old Ben is an energetic young man with plenty of love and affection to share with his new family. Ben is a very sociable dog, but he still needs to learn good dog manners and how to manage his own strength. With ongoing obedience training he will be able to learn to socialise with people and other dogs of different shapes and sizes in a polite and appropriate manner. Ben would make a good pet for an experienced dog owner with an active family. He will need someone who can play with him regularly and take him for twice daily walks to keep him physically and mentally active. You can visit Narah, Daisy, Maggie and Prince at our North Melbourne Shelter, 2 Gracie Street, North Melbourne. Ben is located at our Campaspe Shelter at 520 Mackenzie Road, Echuca. All of these super Staffies are temperament tested, vet checked, vaccinated, wormed, microchipped and desexed.